The DT-03 buggy chassis has long proved to be an extremely robust and beginner-friendly simple design. 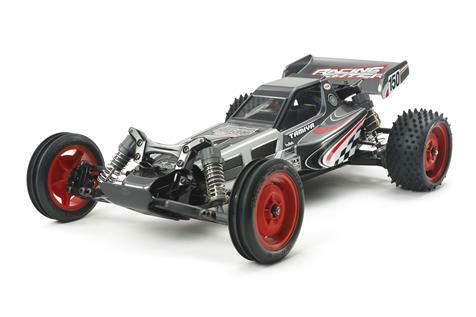 Now Tamiya is releasing a tuned Black Edition, which not only offers colour differences, but also a handful of tuning parts. A large 19T motor pinion (before: 17T) as well as ball bearings all around belong to the standard range, just like wheel axles, diff joints and drive shafts made of metal. The sporty Racing Fighter body with decalsheet and masking foil is included. A TBLE-02S speed controller is also included. For the colour matching of the Black Edition kit the chassis parts are in black, the rims in red and the dampers in grey. Improved re-edition of the veteran Tamiya reference 24003, originally published in 1977. 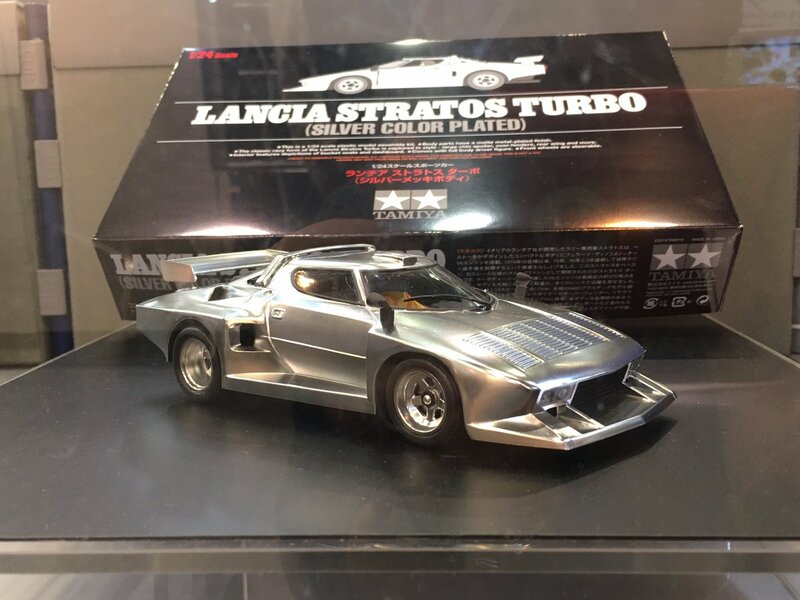 This new edition includes a spectacular shiny metallic finish on the body of the Stratos, as well as in the “B” parts (except the pilot) and in the “C” parts (rims, …) , and also includes the pilot figure.